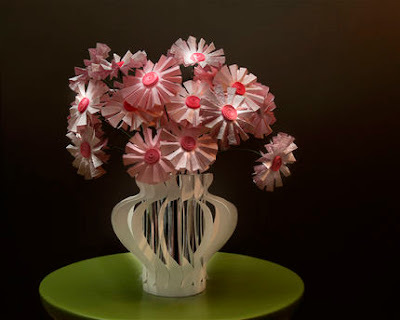 Jeffery Rudell and his weekly paper art projects at CraftStylish were featured in my very first post. 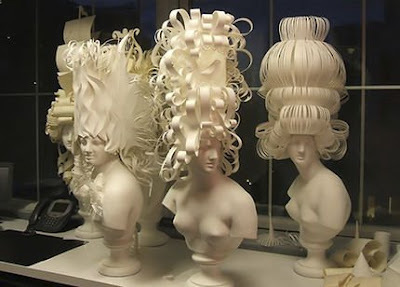 It's time to mention him again because his designs are a big part of what inspired me to start blogging about paper artists, and truth be told, I never tire of looking at photographs of his work. Jeffery combines his background in graphic design with traditional craft techniques to create display pieces for well known magazines, stores, and companies. The resulting projects are always elegant or whimsical and often quite astonishing - the type of work that needs to be seen and shared. Jeffery is a strong believer in the power of a handwritten thank you note and goes the extra mile to create one that's extraordinary. 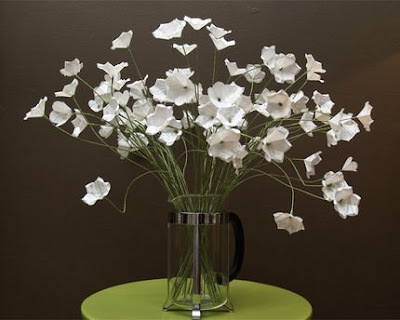 My readers who quill will be interested to learn that paper filigree is something Jeffery loves to do - in fact, he's a long-time quiller and tells me it has led to jobs in paper engineering and packaging design. You may remember Jeffery as a contestant on The Apprentice: Martha Stewart. 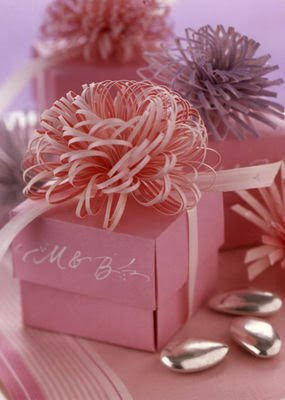 After being dismissed from the show, he made a guest appearance on Martha's daytime program and presented her with a bouquet of quilled flowers arranged on canvas in a still-life. Ever astute in the ways of business, he used the profile of one of Martha's Everyday compote dishes from her K-Mart product line as the model for the flower vase. 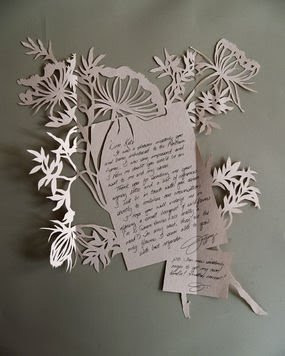 In my internet sleuthing for this post, I came across a collection of Jeffery's paper sculpture that can be purchased in the shop [edit: no longer available] of the New York Botanical Garden. Here are two of his stylish flower reliefs. I appreciate and applaud Jeffery's philosophy of valuing one's own hand-crafted work and pricing it accordingly. He has a book coming out soon too. If it's anything like reading his uber-enjoyable posts at CraftStylish, it's sure to be a winner! I absolutely want to be Jeffery when I grow up! And thanks for the heads up on his book. I'm off to see if I can order it on Amazon. Thanks for this post. I didn't know he was on The Apprentice: Martha Stewart! And a couple of those projects I had not seen before. I have also been enjoying the things Jeff has on Craftstylish. I've tried my hand at paper sculpture and like it a lot. Love Jeffery's work, what talent.